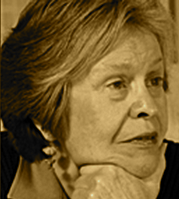 A Year of Being Here: Nancy Paddock: "Lie Down"
"Lie Down" by Nancy Paddock, from Trust the Wild Heart. © Red Dragonfly Press, 2006. 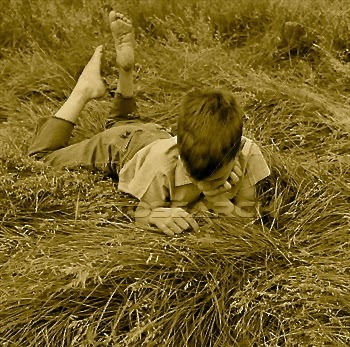 Photography credit: "Picture of 1960s Barefoot Boy Lying Stomach-Down Running Fingers Through High Grass," by unknown photographer (originally black and white).